Surgical site infection (SSI) represents a possible complication after abdominal wall surgery, estimated between 0% and 10% of cases. As for all SSIs, patient’s clinical status at the time of surgical intervention mainly determines the risk of infections. Staphylococcus species is the most common causative agents. 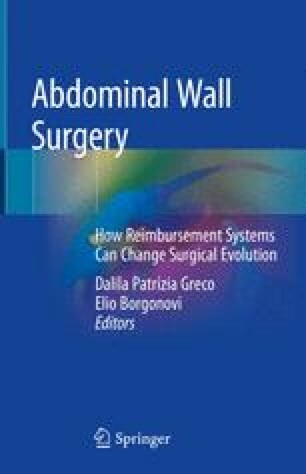 Especially when involving the mesh, post-abdominal wall surgery infections are burdened by a dramatic increase in the costs (up to ten times in the case of sepsis) of post-operative medical and nursing care, both in terms of new hospital admissions and outpatients visits and treatments. In order to reduce the risk of infection, prosthetic materials need to be accurately selected on the basis of patient’s clinical and anatomical characteristics. Moreover, antimicrobial prophylaxis needs to be administered in case of urgent operation and/or contaminated surgical field and should also be considered in patients with increased preoperative risk for infection. When infection has already occurred, imaging and microbiological assessment are mandatory in order to provide the exact extension of the infectious process and the implicated pathogen. These clue data will guide the appropriate treatment. Early definite diagnosis is necessary for appropriate management, even to permit a successful conservative treatment. Nonetheless, combined surgical and medical approach is usually required to achieve clinical cure and avoid hernia and/or infection recurrence.